Ever since the beginning of the crisis (2008), the October EU summits have turned into the beginning of a new round of architectural changes which by the December European Council take a final form. This October will not be an exception. On October 18-19, in Brussels, the leaders of the 27 EU member states and Croatia (as an observer) will gather in Brussels to discuss the proposal of the European Commission for a banking supervision, also known as the banking union, and the proposals for a second series of reforms of the eurozone, the aim of which is creation of a fiscal union. 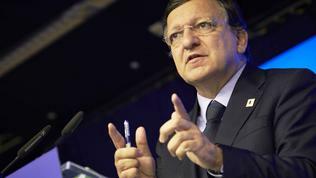 It is in this part of the discussions that European Central Bank (ECB) President Mario Draghi will join the leaders. 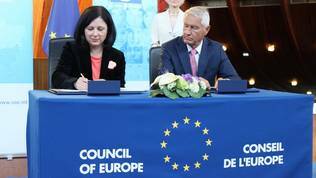 European Council President Herman Van Rompuy hopes there will be time to discuss the interim results of the implementation of the agreed at the June European Council Growth and Jobs Pact. According to the letter he sent to the leaders, there are several areas there is a risk of lagging begin. Information in the German press, however, creates expectations for much bolder discussions on Thursday and Friday, because Chancellor Merkel is expected to propose new treaty changes, related to the remaining of Greece in the euro area and the payment of the next tranche under its rescue loan. All this will happen against the backdrop of the speculation that a separate, quite different than the usual, programmes is prepared for Spain. On all these issues you can read details in the course of the week in this special subject of the summit on October 18-19 and also in our Free Talk Corner, where we will cover live everything related to the Council. 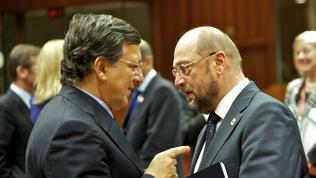 19 October 2012 13:30 And Let the Upgrade of the Eurozone Begin Now!